The Philip C. Jessup International Law Moot Court Competition is the largest and most prestigious Moot Court Competition in the world, and the most direct way in which law faculties’ students measure their strength against each other. UP Law students number 16 on world ranking list: TuksLaw best ever at largest Jessup ever! 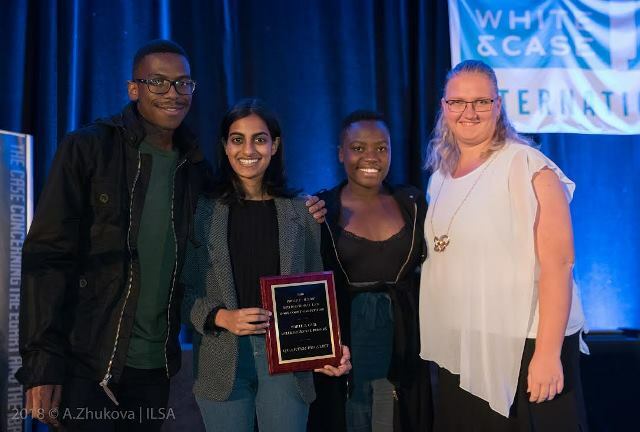 Following their performance at the national rounds in March, the TuksLaw Moot Society’s Jessup team, consisting of oralists Ashley Makgatho (LLB II) and Mary-Ann Gettliffe (LLM), coach Gift Kgomosotho (LLM and Researcher at ICLA) and assistant coach Tino Kakora (LLB IV), was invited to represent South Africa at the International Rounds of the 58th Jessup International Law Moot Court Competition in Washington DC from 9 to 16 April 2017. After competing against 143 teams representing 95 countries in the International Rounds, the UP Jessup team finished in the top 16 Octo-Finals. The team competed in four preliminary oral rounds (determining the top 32 teams in the world) against Luxembourg, Canada, Lithuania and USA. The TuksLaw team won all four preliminary rounds and qualified for the Top 32 Advanced Knock-out Rounds, where they were knocked out by The Philippines, qualifying for the Top 16 octo-finals. Here, the team lost their first match in the entire tournament against Jamaica (Jamaica went on to argue in the Final Round of the competition). 2017 is the largest Jessup year to date, with over 600 law faculties from over 95 countries competing. Out of all 600 faculties the TuksLaw team ranked higher than Cambridge, Oxford, King’s College, Columbia, Harvard, and Yale, to mention a few. Further, South African is the highest ranked team in Africa. This is an outstanding achievement by the TuksLaw team, as it has been 15 years since a team from South Africa has ranked this high in the Jessup Competition and 18 years (the then team of Lawrence Mashava and Lulu Matakala) for a team from the University of Pretoria. 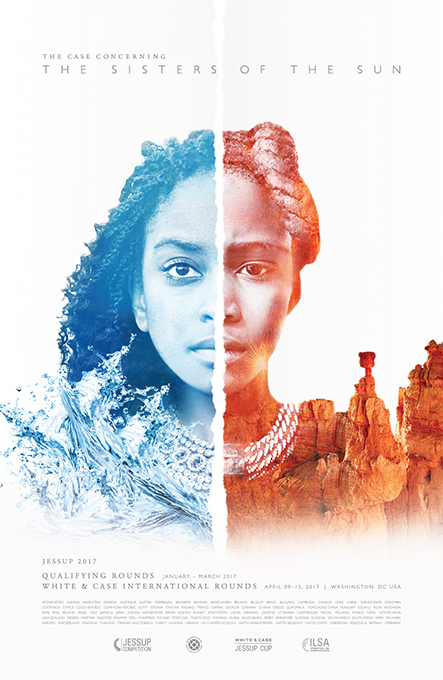 This year's case is based on international environmental law, state responsibility, international cultural property/heritage law and international human rights law. [Click on the image above to access the 2017 compromis/fictional facts of the Jessup Competition]. TuksLaw wins National Round of the 57th Philip C Jessup Moot Court Competition and represents South Africa in Washington D.C. The Jessup Cup, being the world’s largest moot court competition, is a great platform for legal scholars to test their grasp of the law in multiple facets, grounded upon the principles of complex international law. The TuksLaw team, consisting of Tinotenda Kakora, Sewela Masie and Stephan Buabeng-Baidoo and coach Nyambeni Davhana, can attest to this. According to Nyambeni Davhana, ‘[t]he TuksLaw team was selected in October 2015 upon which preparations started for the national rounds in December 2015. I demanded two things from the team: the ability to conduct research and oral advocacy skills. And I am pleased to say that the team delivered. 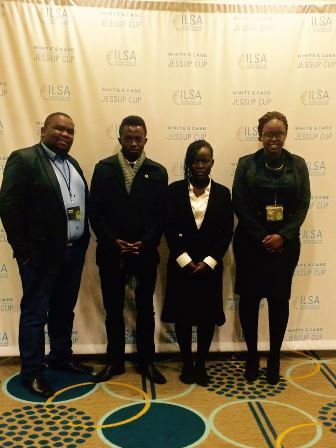 The national round was a breeze for us, as evidenced by the unanimous decision of the judges - giving us the right to represent South Africa, the University of Pretoria and the Faculty of Law at the international rounds in Washington DC. At the international competition we were drawn against the Ukraine, Vietnam, Pakistan and China. After heated rounds against these teams, we managed to emerge victorious against Vietnam, Pakistan and Ukraine. According to Tinotenda Kakora ‘[t]he international rounds were a mind blowing experience. Just landing in DC made all the late nights of researching and practising worth it. One of the most memorable rounds was when we were judged by one of the international group of experts who authored the Tallinn Manual’. ‘The competition did not disappoint as it was as if the future leaders of the world had pilgrimaged to this “Mecca of Moots”. The standard, the passion and intellect on display was truly invigorating. Mooting is an act of sacrifice, but the hours of dedication, the weekends spent sifting through journal after journal, legislation after legislation and case after case, are worth every single moment when you stand before world renowned judges armed with nothing but soft law and a sudden onset of heartburn - those are the moments mooters sacrifice their time for.’ said Sewela Masie on the team’s return to South Africa. Stephan Buabeng-Baidoo stated that ‘[t]aking selfies by the Washington and Lincoln monuments, braving the cold to stand outside the White House and everything that went with it made the journey truly memorable. We are more than just a moot team, we are a family’. The Faculty of Law of the University of Pretoria is proud to announce that our TuksLaw team achieved second place in this year’s national round of the Philip C Jessup Moot Court Competition. 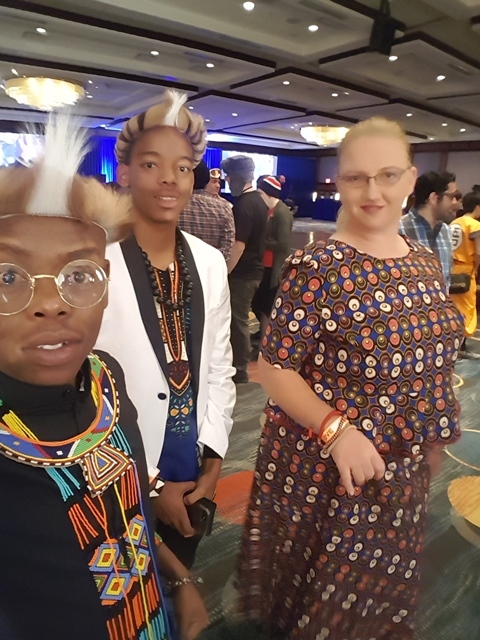 Our team, consisting of Mary-Ann Getliffe (BComm IV) and Carlien Wolmarans (LLB III), under the guidance of coaches Gift Kgomosotho (LLB IV) and Robert Steenkamp (LLM), was declared the runner-up, after facing the host team, the University of the Western Cape, in the final round. The Competition is a simulation of a fictional dispute between countries before the International Court of Justice, the judicial organ of the United Nations. This year's compromis dealt with differences arosing from a special agreement and the consequent secession and annexation of East Agnostica between the Federal Republic of Agnostica (Applicant) and the State of Reverentia (Respondent) at the International Court of Justice. The TuksLaw team - Alexia Katsiginis (BCom III) and Gift Keketso Kgomosotho (LLB IV). The Faculty of Law of the University of Pretoria is proud to announce that its mooting team again won the National Rounds of the White & Case 55th Philip C. Jessup International Law Moot Court Competition from 29 to 31 January 2014. The TuksLaw's team victory included winning all the categories of the National Round, including Best Memorials, and Best Oralist in the final, Gift Keketso Kgomosotho. TuksLaw teams representing the Faculty of Law of the University of Pretoria have walked away with the laurels from the National Rounds over many years - progressing to the Final Rounds of the National Rounds of this Competition over the past five years (2010 to 2014) and were victorious in four out of the five final rounds, eliminating their South African counterparts to represent their country at the international rounds. 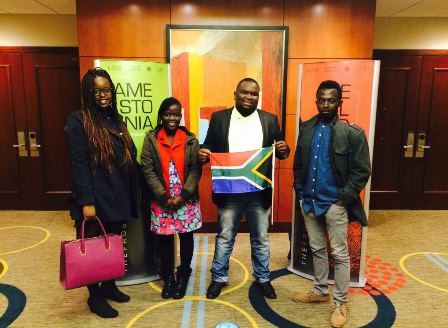 Universities that participated in the 2014 National Rounds were the Nelson Mandela Metropolitan University (NMMU), University of Cape Town (UCT), University of South Africa (Unisa) and the University of the Western Cape (UWC). 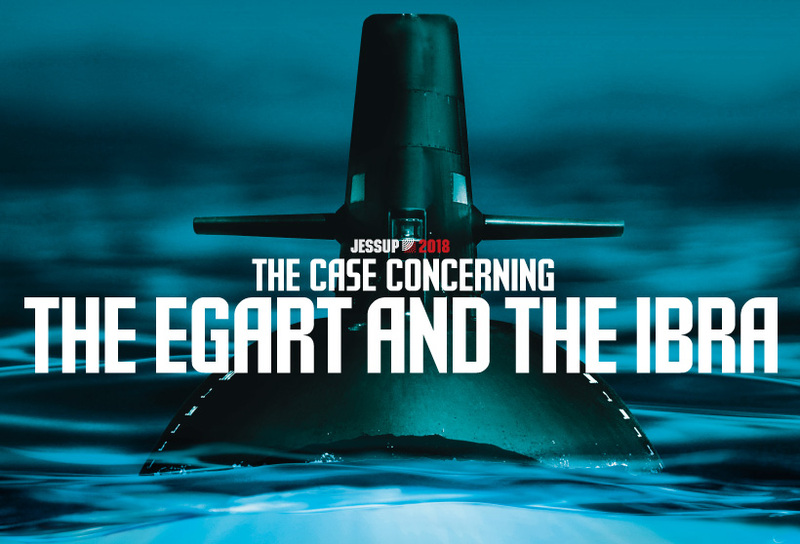 The 2014 Jessup Problem is based on conflict between maritime development and conservation, criminal jurisdiction and maritime salvage rights. 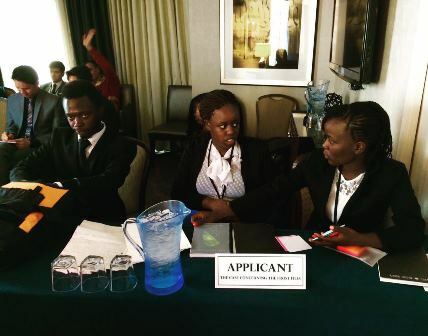 The University of Pretoria participated in this year's annual Phillip C. Jessup International Law Moot Court Competition's international rounds hosted in Washington DC after earning this right in a tough knock-out national round. (See article on the national rounds as set out below). The competition stretched from 31 March to 7 April in the Capitol Hilton Hotel situated in downtown Washington, a few miles from the White House. At the international rounds, the TuksLaw team, consisting of coach Petronell Kruger (LLB IV), Adunyiswe Gumede (LLB IV), Tshepo Seloane (LLB III) and Johann van Wyk (LLB II), competed against teams from India, Chilli, Kuwait and Maylasia and managed victories in two of the four rounds. The team was commended on their impressive knowledge and legal analysis by judges from different continents. During the second week of February 2013 TuksLaw seized the right to represent South Africa at the International Rounds of the prestigious Philip C. Jessup International Law Moot Court Competition in Washington DC. The annual South African National Qualifying Rounds of the Philip C. Jessup International Law Moot Court Competition were held in Port Elizabeth on 7 and 8 February 2013. These rounds were held at the Law Faculty of the Nelson Mandela Metropolitan University (NMMU) and were sponsored by White & Case. After a full day of rounds with advocates and pupils from the Eastern Cape Bar serving as judges, the two teams to progress to the Final Round were the home team of NNMU (ranked first) and the team from the University of Pretoria. The finals were held in the Eastern Cape High Court with a bench of five judges listening to oral submissions from the two teams. The TuksLaw team, consisting of Adunyiswe Gumede (LLB IV), Tshepo Seloane (LLB III) and Johann van Wyk (LLB II) argued on behalf of the applicant and walked away with the laurels. All three members of the UP team ranked in the top eight oralists. TuksLaw received the right to represent South Africa at the International Rounds of the Philip C. Jessup International Law Moot Court Competition in Washington DC on 31 March 2013. This year's facts related to climate change, questions of sovereign debt, statehood after significant change of territory and the treatment of forced migrants. TuksLaw teams progressed to the Final Rounds of the National Rounds of this Competition over the past four years (2010 to 2013) and were victorious in three out of the four Final Rounds. Fltr: Tshepo Seloane (LLB III), Johann van Wyk (LLB II), Petronell Kruger (Coach and LLB IV) and Adunyiswe Gumede. The 2011 White & Case South Africa Jessup Competition, part of the Philip C. Jessup International Law Moot Court Competition, was held at the University of Johannesburg on 29 January 2011. UCT clinched first place in a tight final against the University of Pretoria.